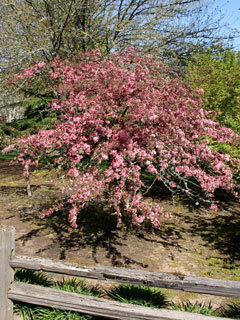 A pink flowered, red leaf form of Sargent Crabapple. 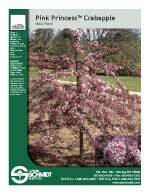 Pink Princess is a naturally dwarf tree with all the desirable features of Sargent, but in a new color. Cedar-Apple Rust: Excel. Mildew: Excel.